Editor’s Note: the following is a commentary which looks at Northwest’s Spiritual Life policies, comparing them to previous NU policies and the policies held by several other Christian universities, and engaging with the debate over whether Sunday church attendance should qualify for Spiritual Life credit. Private, religious universities are known for their spiritual disciplines, religious courses, and lifestyle policies; it is what sets them apart from public schools. Normally defined by schools as spiritual life, these types of institutions provide opportunities for students to learn and grow in their faith. As universities grow and develop with the ever-changing world, some of these standards for student life change as well. Many Christian schools, including Northwest University, require students to attend a certain number of chapel services and other spiritually-driven events in order to meet their standards or spiritual life engagement. Semester schools that require students to attend these services are essentially adding another class to their students’ workload. According to NU’s website, “Northwest’s Campus Ministries Department exists to cultivate the spiritual vitality of the NU Community and foster the spiritual formation of each member. Campus Ministries accomplishes this by fostering spiritual formation personally, relationally, corporately, and missionally”. A September 2006 NU policy stated that students were required to attend chapel Monday, Wednesday and Friday mornings, and there were two opportunities each day. Student class schedules were built around their being able to attend chapel. They were also required to attend Monday night Pursuit worship services from 9:00 p.m to 10:30 p.m. If a student missed more than six absences for four semesters (cumulative or consecutive), they would be suspended and given the chance for a re-engagement interview after a semester of suspension. There is a common trend within Christian universities for how they monitor their student’s spiritual life, and the actions they take in enforcing them. NU was founded as Northwest Bible Institute in 1934, and changed to a university in 2005. Through the years, chapel policies have gone through changes. The current requirements for students are shown in the chart attached below. According to NU’s Spiritual Formation Strategy Policy, students with conflicts to the Monday, Wednesday and Friday chapel services have the option to apply for an adjustment of required credits. This includes students involved in student teaching, nursing clinicals, or other practicum assignments. This also includes students with jobs, major internships, and children. Athletes at NU are no longer included in this adjustment policy. Instead, they have created more opportunities outside of the weekly chapel services for students to obtain the required 35 credits. Requiring chapel attendance from students is a hot topic throughout campus at NU. 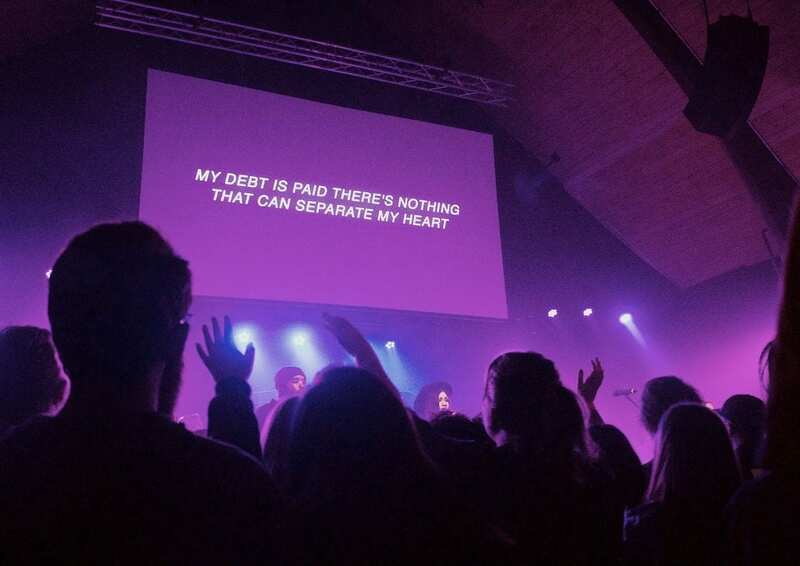 Some students believe the requirement is too demanding, and that balancing school, work, and relationships is hard enough, and adding chapel attendance to that is too stressful. This also becomes a financial weight when there are steep fees associated with chapel failure. A discussion on whether or not church attendance should count towards students spiritual life credit has been a common topic here at NU. In a 2016 article from The Talon commuter student Kat Falvey said that time serving at church off campus should provide spiritual life credit. In the same article, NU Campus Pastor Christian Dawson addressed the difficulties of adding Sunday attendance as an option for Spiritual Life Credit. “From an administration standpoint, it would be so hard to manage. It would be nearly impossible to monitor. It doesn’t go against, but it doesn’t help the idea of how all of us work together to make each other more like Jesus in this community for this short period of time,” Dawson said. According to Mark 16:15, Jesus wants his followers to “Go into all the world and preach the gospel to every creature.” This means that students at NU should be taking the Word to the world, so as to share the hope of the message with others. Public churches are aimed to reach the world and do so in a way that universities are unable to accomplish, which means students need to be involved in local congregations. Southwestern Assemblies of God University (SAGU), one of NU’s sister schools, also requires students to attend church on Sunday as part of their spiritual life according to the attached chart. The requirements from SAGU state “Students are given until Fall Break/Spring Break to decide where they wish to attend church during the semester,” and they are required to report their weekly one hour of ministry involvement. Natalie Myers, an NU graduate, attended SAGU her freshman year of college in 2012 and experienced this system in action. “We had to sign in and out every Sunday morning and state which church we were attending,” Myers said. This same system could be implemented here at NU to solve the monitoring problem Dawson refers to. Allowing local church involvement to count towards spiritual life credit would give students an opportunity to be integrated members of their church. Private Christian universities need to strike a balance of maintaining their positive spiritual life on campus while still remembering the calling to love God and love people, especially the people outside of campus. Most Christian universities have similar policies in place to ensure students are spiritually growing. At NU, changing the requirements so church on Sundays counts toward the 35 required credits might be a positive change for students, giving them the balance they long for between university and the real world. The following chart displays a summarized breakdown of spiritual life requirements and policies for Northwest University, Southwestern Assemblies of God University, and George Fox University. ● 5 of the 15 can be gained through “elective chapels” which are special events throughout the semester.